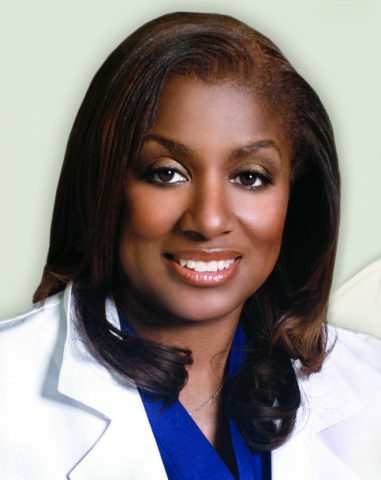 Pamela Y. Thomas-King, M.D., is a graduate of the University of Wisconsin-Madison Medical School. She completed her residency in Anesthesia at Duke University Medical Center in Durham, North Carolina. Immediately following, Dr. Thomas-King entered a 12-month fellowship training program in pain management at Duke. Board Certified in both anesthesia and pain management by the American Board of Anesthesia, she opened the Pain Management and Treatment center as a solo practitioner in 1996.
cope with the unbearable pain she was experiencing 24 hours a day, 7 days per week. When the doors opened at the Pain Management and Treatment Center in 1996, the first patient on the schedule was Dr. Thomas-King’s mother. The decision to pursue a post-graduate fellowship in pain management has made a difference not only in her mother’s life, but the lives of many people in Milwaukee and surrounding areas who are chronic pain sufferers. The degree of satisfaction expressed by patients who have been treated at Pain Management and Treatment Center is reflected by the many testimonials received from patients.